Home » Dogs » Dog Nutrition & Feeding » Can Dogs Eat Red Peppers? You Need To Know This! Cooked or raw, sliced or stuffed, that’s the thing about red peppers. They’re delicious in every way. The majority of world cuisines consist of red peppers. And why wouldn’t they when this vegetable offers immense health benefits. Now, this brings us to the most important question, can dogs eat red peppers? Red peppers contain an optimal level of Vitamin E and Vitamin C along with carotenoids. These are strong antioxidants, which protect the body against chronic diseases. So is it safe for your dog to consume red peppers? And by red pepper, I mean sweet pepper or bell pepper. Many people tend to confuse red pepper with cayenne pepper, and that’s wrong. Let’s find out more! 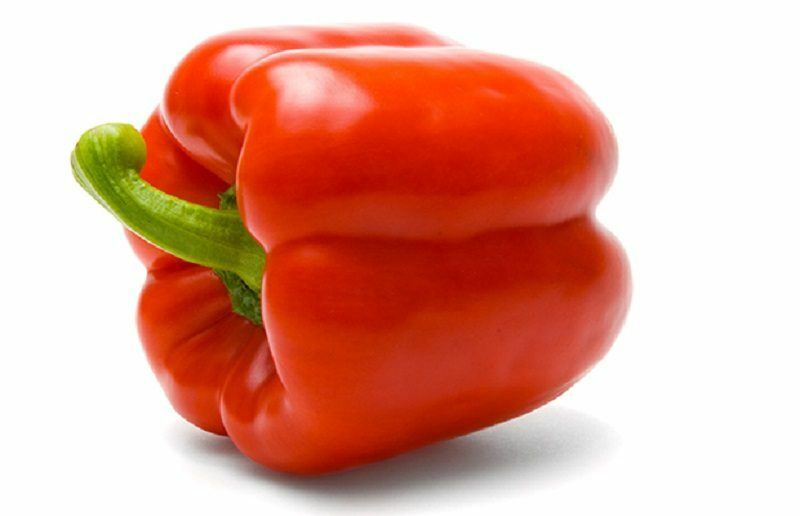 What is a Red Pepper? You Dog Eat Red Peppers: Is There any Cause for Worry? How About Yellow and Green Peppers? So That’s My Take on Red Peppers for Dogs! Red peppers are nothing but red sweet pepper fruits. And sweet peppers are bell peppers, which is a vegetable, right? The thing about bell peppers is that they give out a mild tangy taste. And here’s the most important part; unlike many peppers, bell peppers don’t have a hot and spicy flavor. What many people do is use the term red pepper to describe cayenne pepper. The latter is in the form of a powder that you get when you grind red chili pepper. Cayenne pepper is considered to be the hottest powdered form of pepper. It is comparatively hotter in flavor and taste than chili powder and paprika. There’s no harm in feeding red peppers to your dog. Because the vegetable contains plenty of nutrients that are not only safe but also beneficial to her health. But moderation is essential. As is the case with all types of food for dogs, too much red pepper might cause diarrhea or upset stomach. There’s no direct connection between bell peppers and a dog’s stomach. But you should know that the digestive tracts of dogs have become used to meat consumption. And this is why incorporating excessive vegetables in your dog’s diet is not such a good idea. Now allow me to highlight the many health benefits of red peppers. They are relatively more nutritious and healthier than yellow and green bell peppers. The most significant advantage here is that red peppers provide the body with beta-carotene. 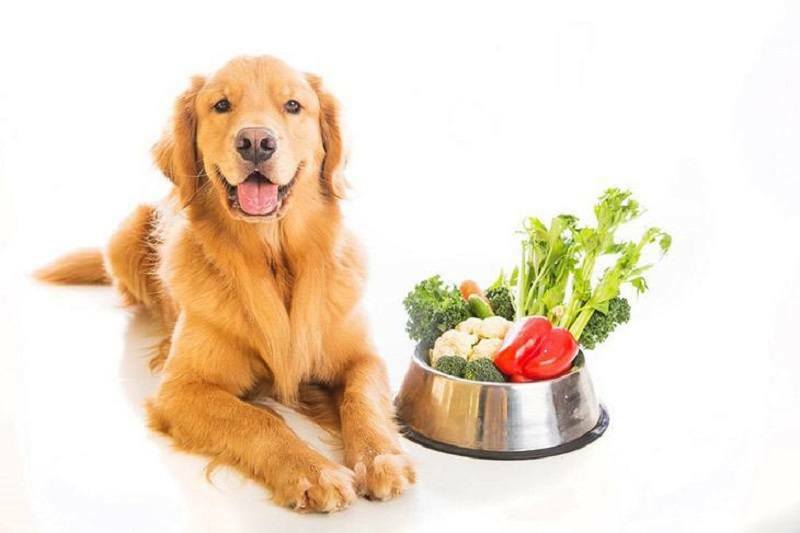 In the system of a dog, beta-carotene converts into a highly valuable nutrient known as Vitamin A. This particular element improves the eyesight of dogs. It also helps in enhancing the functionality of the retinas as well as night vision. Since the presence of beta-carotene is responsible for the formation of Vitamin A, there are other benefits that your dog might experience. These include improvement in the reproductive system, bones, coat, and skin. Beta carotene also serves as a potent antioxidant. What this means is that it has the ability to prevent and eliminate cell damage. And that reduces the chances of your dog developing immune system disorders and other severe health conditions. 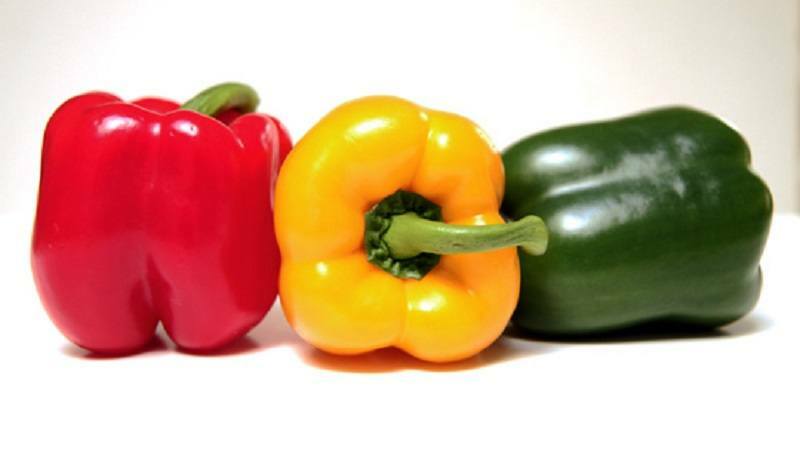 Bell peppers don’t just consist of beta carotene. They also have tons of other vitamins to offer, including Vitamin C. And we all know how beneficial Vitamin C is, don’t we? This component contributes to dealing with all kinds of physical stress in the most efficient manner. When it comes to dogs, physical stress means injuries, pregnancy, nursing, illnesses, and vaccinations. Vitamin E is also another nutrient present in red peppers. 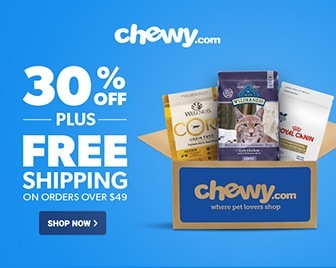 And what it does is improve the condition of your dog’s joints, muscles, immune system, and skin. When you feed too much of any food to your dog, it does more harm than good. And this applies to red peppers as well. Even though your dog is allowed to consume red peppers along with other veggies and fruits, eating a large quantity might lead to diarrhea and upset stomach. This is why you should have everything in moderation, isn’t it? The digestive system of dogs has always been subjected to processing meat. But this doesn’t imply that feeding your dog red peppers and other vegetables is a bad idea. It just means that anything apart from meat should have a limit. These are good for dogs too. But when compared to red peppers, they are far less beneficial. 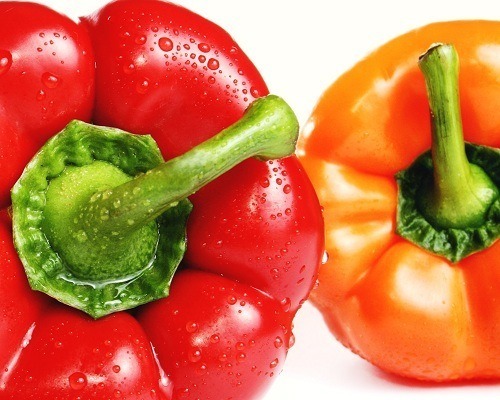 This means that red peppers offer more nutrients and vitamins than yellow or green peppers. So the answer to “Can dogs eat red peppers?” is an astounding yes. They are an excellent source of antioxidants and vitamins. But please remember that a moderate amount of red peppers is a healthy and safe option. 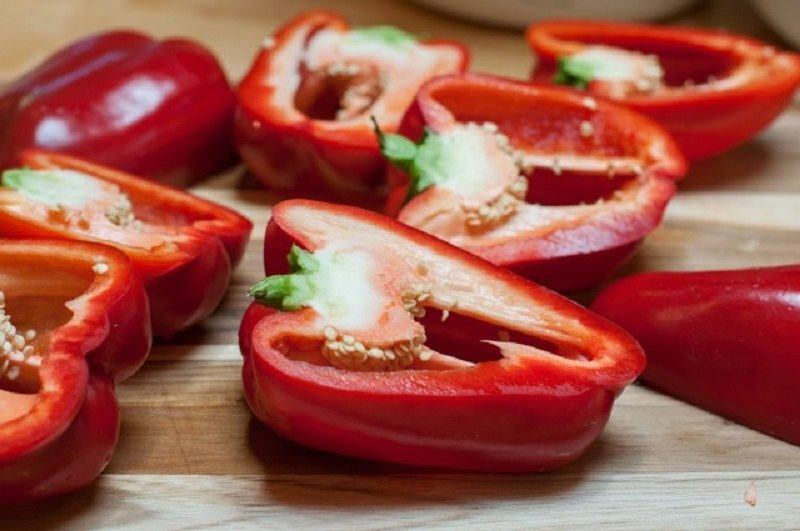 This means that you can turn red peppers into your dog’s favorite occasional treat. But whatever you do, don’t confuse red pepper with cayenne pepper. The latter is not appropriate for dogs and should be kept away from them at all costs. In fact, cayenne pepper is considered to be one of the worst things to feed a dog. What do you think about this particular topic? How much red pepper do you feed your dog? And did you like the content of the article? Please feel free to drop in your comments in the section below. And if you have any thoughts or experiences to share about red peppers and dogs, then don’t hesitate to do so. I hope you enjoyed reading the article. Thank you for your time. When Do Yorkies Stop Growing: How To Find Out?